SAGE is the natural home for authors, editors and societies. 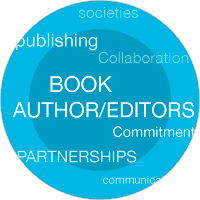 As a leading international publisher of books, journals and electronic media, we work closely with authors and editors to produce the most outstanding works in the fields in which we publish. Our authors and editors are extremely important to us, and we are dedicated to making sure you receive the support and commitment you need. On this page you’ll find a selection of handy resources - for both prospective and current authors - that are designed to make submitting a book proposal or publishing your book as easy as possible. This booklet gives you an overview of the operations of the book publishing process, and answers some of the most commonly asked questions authors have. If you are interested in publishing with SAGE, this booklet outlines what our Commissioning Editors find useful in a book proposal. Here you can find an outline of some of the activities carried out by the Sales and Marketing Department. Each book is treated individually and a specific marketing plan is tailored to meet the needs of its market. We like to work with you as a team and have also outlined some ideas below on how you can help to promote your book. Why not sign up to SAGE Connection so you can stay up-to-date with what’s happening at SAGE? SAGE Connection is a blog for our authors, editors and societies, keeping scholars, practitioners, librarians, researchers, and students connected. If you are already a SAGE author we are keen to hear from you about your publishing experience with SAGE, so we have set up a survey to capture your thoughts. It will only take 5 minutes of your time and your answers will be used by all at SAGE to help us improve our service to you. If you have any specific questions about your book, please do not hesitate to contact your Commissioning Editor, Marketing Manager or email us at authors@sagepub.co.uk or get in touch using the contact details below.